Chicken Fajitas with Guacamole and Fresh Salsa. First of all thank you to one and each of you that helped me yesterday with Matt’s present. He had a HUGE smile on his face when he saw how many new pageviews he got on his video. 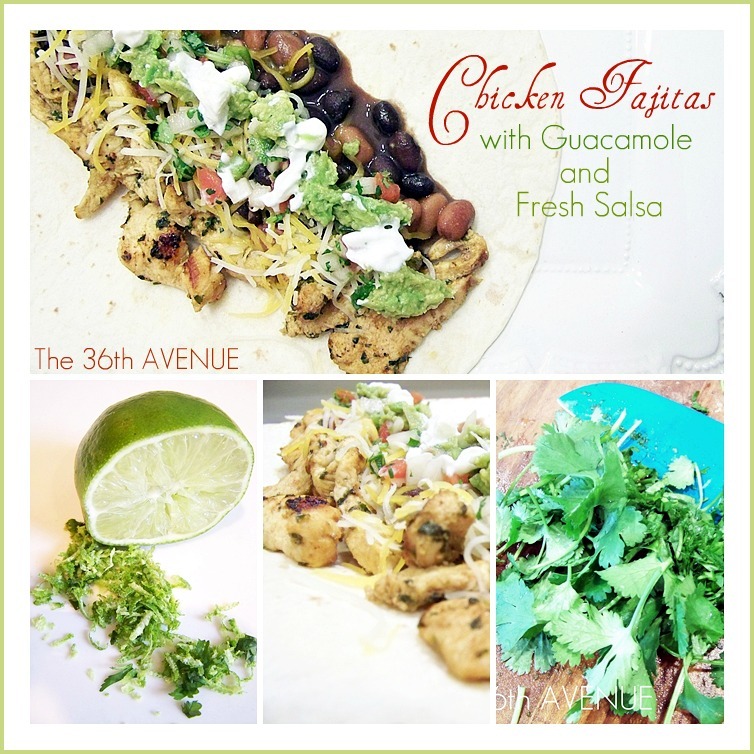 Today I am sharing with you what we had for dinner a couple of nights ago. 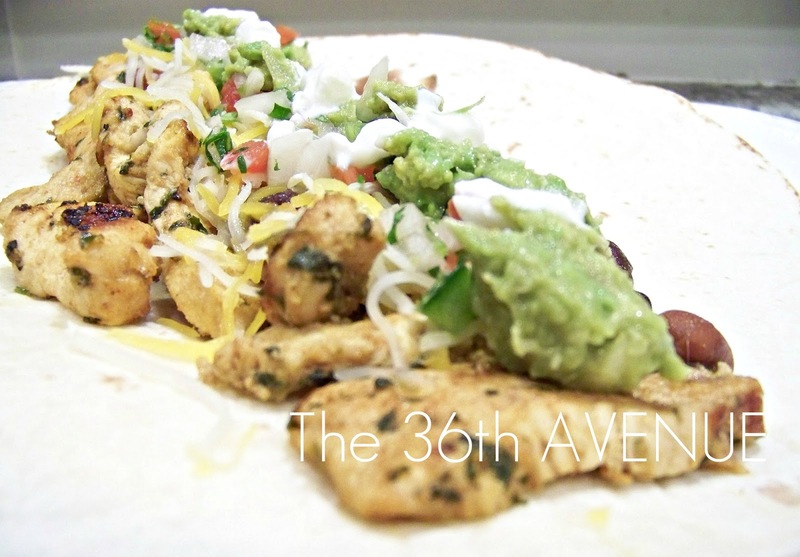 These fajitas are simple to make and DELICIOUS. You are going to love the fresh flavor and how beautiful they look. 1 tsp. finely shredded lemon or lime peel. 2 Tb. Lemon or Lime Juice. 12 Ounces skinless, boneless chicken breast. Combine oil, cilantro, lemon peel, lemon juice, chili powder, cumin, and pepper. Rinse and slice the chicken in strips. Add chicken to marinade, turning to coat. I let my chicken chill for about 1 hour. Drain the chicken, reserving marinade. Grill it for about 10 to 15 minutes or until chicken is tender and no longer pink, turning and brushing once with marinade. If you don’t have a grill you can cook it in a pan. Do not add oil since the marinade already has some. To serve on each tortilla, arrange chicken strips, cheese, black olives, sour cream, lettuce, beans, and whatever you like. Roll up the tortilla, tucking in the sides. Serve with Guacamole and fresh salsa. Peel and mash the avocado. lemon juice and salt to taste. Let it chill for a few minutes. Chop 1 tomato, half of a green pepper, half of an onion and cilantro. I like to shred some jalapeno. Add as much as you would like. Garlic powder, salt and the juice of half to a full lemon. See you later at 6:30 pm during the Show Me EXTRAORDINARY Link Party! PreviousShare the love + Free Printable. NextParty TIME: Show Me EXTRAORDINARY! I made these yesterday and talked about them on my blog today! They were SO good! Thanks for sharing. These look incredible! They are in my recipe folder and if I have all the ingredients, I may just try them out for dinner!